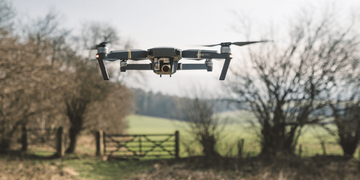 Drone technology is rapidly changing the commercial real estate industry - and it’s easy to see why. According to a study conducted by the 2016 National Association of Realtors, 73% of homeowners said they were more likely to list with a real estate agent who uses video to market their homes...but shockingly, only 9% of agents are currently creating videos. At DroneBase, we want to increase that statistic without breaking real estate agents’ budgets. Armed with a network of highly-skilled drone pilots, we’re dedicated to providing high-quality aerial video at an affordable price point, so agents can sell more listings. Beyond the quality of our services, we take pride in our timeliness. Once we receive an order, our team will fly your site, capture the data, and deliver your aerial marketing package within a few short days days. Take Chris Craighead, a Client Services Coordinator at CBRE, for example. Chris had been occasionally using DroneBase since early 2017. When he had an urgent, last-minute need for aerial imagery, he sought out DroneBase to deliver the quality he expected - even with a crunched deadline. DroneBase completed 6 rush missions within a week’s time, delivering 120+ high-quality visual assets, a combination of still images and videos. It’s our belief that drone technology has the power to elevate a real estate agent’s work, and we remain committed to facilitating the success of the industry. Ready to level up your CRE marketing and sell more listings with aerial data? Get started today! In "Commercial Real Estate", "customers", "REIT"
In "customers", "real estate", "winter"